In its first year, Global Threat Cooperation is a three-week US State Department International Visitor Leadership Program (IVLP) Special Initiative that examines multilateral cooperation among partner nations in the Global Coalition to Defeat ISIS and the threat that extremism poses to international peace and security. This special initiative was designed in partnership with the Department’s Office of the Special Presidential Envoy for the Global Coalition to Defeat ISIS. 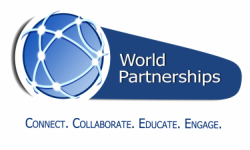 ​World Partnerships is honored to be selected to host all five of the regional and multi-regional groups in 2018. From November 5 - 10, the entire group came to Tampa Bay for briefings and interaction with global security experts: A full day briefing by US Central Command and US Special Operations Command; subject matter expert briefings; and a special Plenary session (held at the historic Italian Club in Ybor City). Subject expert briefings included: U.S. Attorney Maria Chapa Lopez, Middle District of Florida; Chief Anthony Holloway, St. Petersburg Police Department; Andrew Garfield, Adjunct Professor, Joint Special Operations University; Robert Mazur, author of The Infiltrator; and, Robert O’Neill, former U.S. Attorney. Major General David J. Scott, USAF (retired) and Mr. Garfield organized and co-moderated a Plenary session to close the program. Examine sustainable traditions of multilateral bodies and joint interagency initiatives to combat transnational threats that are dependent upon global networks and relationships. On November 7, 2018, World Partnerships brought the Tampa Bay community together at its second "Seasons of Diplomacy" reception and dinner to honor the Global Threat Cooperation participants. Held at the Hilton Carillon St. Petersburg, the reception was sponsored by American Freedom Distillery, the makers of "Horse Soldier Bourbon". The distillery was founded by US Green Beret veterans, many of whom are the "Horse Soldiers" who led the American response to the attacks of 9/11. Retired Special Forces MSG Scott Neil, a founder of the distillery led the group on a bourbon tasting journey at the reception, and keynoted the dinner with a conversation about the journey, values, and entrepreneurial spirit that led from the battlefields of Afghanistan and Iraq to transition to entrepreneur. Chairman Matthew Nolan, Partner, Arent Fox (Washington) offered welcome remarks, and Ms. Jeanne Briganti, Pentagon Liaison for the State Department's Office of International Visitors gave remarks on the importance of exchange, continuing collaboration, and citizen diplomats. Special thanks to our Dinner Sponsors for their generous support of World Partnerships!